My wife and I built a house a couple of years ago. We had to seed an entire yard in late 2015 and, like all new lawns, it has its issues. Early this spring, after one full growing season, I realized that I needed some professional help controlling the weeds and getting the yard healthy. 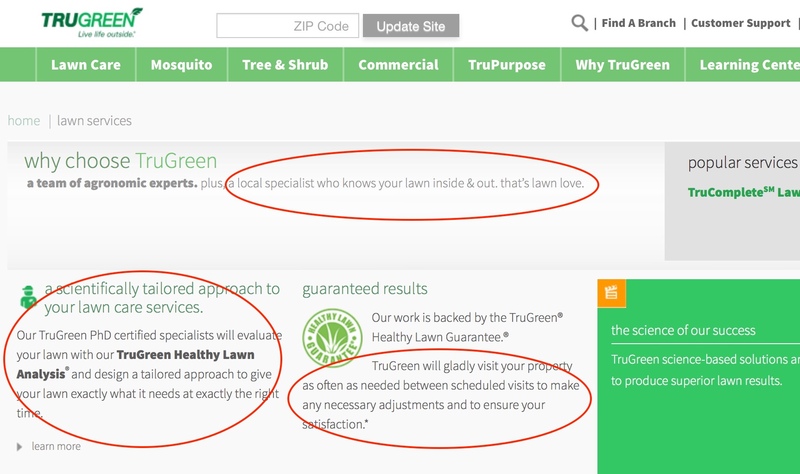 I noticed that several of our neighbors used TruGreen lawn service and TruGreen has made a huge marketing push this spring so I went online to check them out and request a quote. Literally, within a minute of submitting my online quote request I received a phone call from a TruGreen sales person. I was impressed. One of the things that TruGreen made a big deal about on their website and in their sales pitch was the fact that my “Ph.D certified lawn specialist” would come, do a site analysis, a soil sample, identify the type of grass we have, and discuss with me with a site plan for my lawn. I care about my new lawn and I realize that I have some responsibility in its success. TruGreen even promised they’d visit between treatments, if needed, to ensure my satisfaction. The idea of a lawn specialist who would talk to me, answer my lawn care questions, and partner with me in making my lawn healthy was a big driver in convincing me to sign up. Within a couple of weeks I received a phone call informing me that I would get my first visit the following day. A TruGreen “specialist” arrived and knocked on my door. When I opened it he quietly said “I’m going to treat your lawn” as he backed away from the door. Fine. I figured I’d let him do his thing and wait for my site analysis, soil sample, and a discussion of the plan when he was done. I never heard back from him, but I did receive a computer generated report on my door knob with what appeared to be stock information and instructions. A couple of weeks later I received a call, and the Caller ID said it was from TruGreen. I figured maybe this was my call with the results of my site analysis and a chance to discuss the plan. “Tom! This is your local TruGreen office here in Ankeny, Iowa. I understand you’re interested in some lawn care services,” he said. I was confused. “Actually, I’m already signed up and I already had my first treatment,” I replied. At this point, I wasn’t so impressed with TruGreen. However, almost 25 years in Customer Satisfaction (CSAT) research and Quality Assessment (QA) have taught me that the best of corporate service systems have their glitches. I wanted to give TruGreen a chance and see how they would respond to a sincere customer expressing my dissatisfaction. I went to the website and contacted Customer Support using their on-line form. I explained my frustration and what I had both expected and experienced. Later that day, to their credit, I received a phone call from Holly on the TruGreen Customer Support team. As a Customer Service QA professional, I can testify that Holly was a total pro (much like the Sales associate who initially called me from TruGreen). If I was doing a C Wenger Group Service Quality Assessment (SQA) analysis of Holly’s call she would have received a complete 100. She was personable, conversational, and empathetic. She apologized, articulated a thorough review of the situation, and then assured me that the following morning I would receive a visit from my lawn care specialist from 7:30-9:30 a.m. She also advised me that my specialist was relatively new and a little shy. Nevertheless, she promised he would do the site analysis and soil sample. He would share the results with me, discuss my site plan, and answer my questions. And, she gave me a 50% reduction in my second treatment. The following morning at 8:30 my door bell rang. As before my specialist quietly said he was going to treat my lawn as he stood fifteen feet from my front door. That was it. This time I stepped out and walked down to him. I told him I was concerned about my lawn and the patches of clover that were growing. I wanted to know what the “plan” was. “Clover’s hard to get rid of,” he said. “I’ll spray it really well today.” He added it might take multiple applications to get rid of clover. There was no mention of my site analysis. There was no mention of my soil sample. There was no mention of a site plan, discussion of my lawn, or mention of the concerns I’d discussed with Holly. I figured I’d see how things played out and returned inside. Thirty minutes later my TruGreen Lawn Specialist pulled away from the curb having left his stock, computer generated printout of what he’d done to my lawn on the door knob. I contacted Customer Support once again on May 19 (ticket #1698933), referencing my previous ticket number. I repeated what Holly told me I could expect and then described what I had actually experienced. I reiterated that I simply wanted TruGreen to deliver on their promise. I asked that they either provide me with a lawn specialist who will communicate with me as advertised or be honest with me that I was stuck with what I’d received so that I could pay my bill, cancel my services, and search for other alternatives. The auto reply stated TruGreen would respond as quickly as possible. It has been over two weeks. I have yet to receive a reply from TruGreen Customer Support. TruGreen has a top notch technology system with regard to national marketing, sales, support. They are everywhere in the media. They have great ads and a well articulated promise. They are quick to respond to any on-line quote request and a well-trained sales person gave me a great introduction. Likewise, my initial Customer Support experience was both responsive and top notch. TruGreen has local branches across the nation who deliver their lawn services. I’m not sure if they are independently owned franchises or corporately owned subsidiaries, but I quickly learned that the actual customer experience with TruGreen is highly dependent on my local TruGreen branch, their staff, and their abilities. The fact that my local Ankeny office called to sell me services I had already contracted and that they themselves had already delivered tells me that there is at least some disconnect between TruGreen Corporate and the TruGreen branch. TruGreen corporate sales and support is at the mercy of the local branches to deliver a satisfactory experience and resolve actual customer issues. Holly in Grand Rapids could make all the promises and assurances she wanted, but if the local branch in Ankeny was unwilling or unable to deliver, the promise would remain hollow and unmet. The local branches, their communication with national sales and support, and their ability to deliver appears to be a crucial weak link. I assume that TruGeen branches are struggling with an annual seasonal crunch exacerbated by their aggressive national sales efforts. Local branches must quickly hire and train “specialists” and meet increased demands. I have to assume that my specialist was part of an army of newly hired, quickly trained specialists who were rapidly deployed and are struggling to meet demand. I’m sure that most TruGreen customers are happy with a regularly scheduled visit from an anonymous lawn specialist who treats their lawn when they’re not home. I’m also reasonably sure that most customers are satisfied with the stock thermal paper report on their door knob. I accept that I may be among the few customers for whom the site analysis, soil sample, and partnership of a lawn specialist who communicates with me about my lawn is a key driver of my satisfaction. Given that I’ve not received any response from TruGreen’s typically efficient and responsive national support system leads me to suspect that they’ve either accepted that I’m a lost customer or have placed responsibility for resolving my issue on the local branch who has not responded. Pardon the pun, but I’m left feeling like I’m just a pesky weed. Our experiences as customers, both positive and negative, are opportunities to learn, grow, and continuously improve. That’s what C Wenger Group’s Service Quality Assessments are all about. My experience with TruGreen reminds me that great front end communication with sales and support can only go so far. Customers will ultimately judge us by the actual experience that happens in the moment of truth when we’re interacting. For TruGreen that is at the front door and on then lawn. I am also reminded that almost every customer service problem is rooted in a communication issue. As a customer, a company’s silence can be deafening. What is critical to understand here is that people do not do what you expect but what you inspect. Culture is not a prime mover. Rather it is a derivative. It forms as a result of signals employees get from the corporate processes that structure their work priorities. If the financial-reporting system focuses entirely on short-term operating results, that’s what will get priority from employees. If you want employees to care a lot about customers, then customer-satisfaction data should get as prominent a place in the reporting system as sales and profit. I have seen the truth of Gerstner’s observations over and over again in our years of providing Customer Satisfaction (CSAT) research and Quality Assessment (QA) for companies large and small. When I tell people about our group it is quite common to have them respond by telling me that their company has a “quality” program. When I ask them to describe their program, however, they explain that they get regular reports about Average Speed of Answer, Average Call Time, Call Counts, and similar metrics. In other words, they are measuring quantity (of calls and time) and equating it with quality. To Gerstner’s point, you get what you inspect. When our group is given an opportunity to do a true quality assessment for such a company, we find Customer Service Representatives (CSRs) more focused on cranking through as many calls as quickly as they can than they are providing any kind of positive customer experience. Despite their company’s well worded value statements about customer service, the CSRs know that their employer truly values efficiency, productivity and cost containment because that’s what the employer measures. Alternatively, when our group has enjoyed long term partnerships with clients it is typically because the CEO and executive team truly believe in the long-term value and profitability of providing a superior customer experience. To that end, they understand the value of getting reliable data about what drives their customer’s satisfaction and the importance of objectively measuring the customer experience against those drivers. Front-line CSRs know that their company values providing a truly superior customer experience because that is what their employer measures. It’s a simple exercise for any corporate executive. First take a look at your company’s stated values and mission with regard to customer service and/or the customer experience. Next, take a look at what’s truly being measured on your front-lines where customers interact with your team. Is there a disconnect? If you need an experienced partner in finding out what drives your customers’ satisfaction, how to measure quality the right way, and how to effectively communicate these things throughout your organization then give us a call. It’s what we’ve been doing for over a quarter century. We’d love the opportunity to work with you and your team. 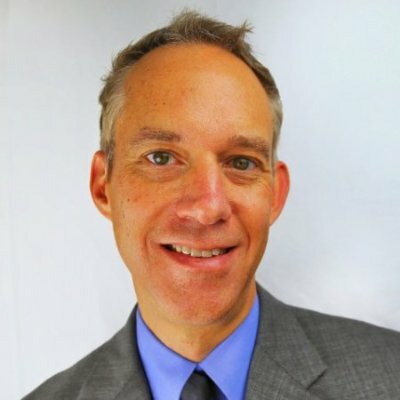 Tom Vander Well is partner and Executive Vice-President of C Wenger Group. Tom has written about Customer Satisfaction and Quality Assessment on previous blogs (QAQnA and Service Quality Central) and was a contributing Customer Service blogger for the Des Moines Business Record. Just because your team can do these things yourself, doesn’t mean that it’s a wise investment of your time and resources, nor does it guarantee that you’ll do it well. Based on a track record of mediocre (at best) renovations, my wife regularly reminds me that while I technically can do home improvement projects cheaper myself, she’d prefer that we pay an expert to do it well (and free me to invest my time doing more of what I do well so we can pay for it). So why pay an outside group like ours to survey of your customers, or monitor your team’s calls to provide a Quality Assessment report on how they’re serving your customers? I’ll give you five reasons. It gets done. Analyzing phone calls, surveying customers, and crunching data require a certain amount of discipline and attention to detail. When things are changing, fires are raging, and the needs of your own business are demanding a team’s time and attention, then things like crunching data or listening to recorded phone calls become back burner issues. It’s common for people to tell me that they have their own internal QA team. When I ask how that’s going for them, I usually hear excuses for why it’s hard to get it done with all the urgent matters to which team members must attend. When you hire a third party provider, it gets done. It’s what we’re hired do. It gets done well. Our clients represent diverse areas of the market from manufacturing to retail to financial services. Our clients tend to be leaders in their industries because they are good at what they do. Developing expertise outside of their discipline isn’t a wise investment of resources and (see #1) and who has time for that? Our clients want to invest their time and resources doing what they know and do well. Measuring what is important to their customers, turning those things into behavioral attributes, analyzing communication channels, and coaching their agents how to improve customer interactions in ways that improve customer satisfaction are what we do well. You get an objective perspective. When providing audits of internal Quality Assessment teams or reviewing internally produced customer survey data, it’s common for us to find evidence of various kinds of bias. Employees at different levels of an organization have motivations for wanting data to look good for their employers, or bad with respect to coworkers with whom there are other workplace conflicts. I’ve observed supervisors who are overly harsh assessing the calls of employees with whom they have conflicts. Internal call analysts, wanting to be kind to their coworkers, will commonly choose to “give them credit [for a missed service skill] and just ‘coach them on it. '” Internal research data can be massaged to provide results that gloss over problems or support presuppositions that are politically correct with the executive team. Our mission, however, is to provide objective, customer-centric data that give our clients a realistic picture of both customer perceptions and the company’s service performance. It is our mission to be accurate and objective in gathering and reporting data. You get an outside perspective. It has been famously observed that “a prophet is not welcome in his hometown.” Internal data is often discredited and dismissed for any number of reasons from (see #2) “What do they know?” doubts about the expertise of coworkers to (see #3) “They hate me” accusations of bias which we’ve discovered are sometimes accurate and other times not. Front line managers regularly tell me that they appreciate having our group providing assessment and coaching because they can’t be accused of being biased, and as outside experts we have no internal ax to grind. In addition, our years of experience with other companies provide insight and fresh ideas for handling common internal dilemmas. You can fire us with a phone call. “Do you know why I keep you around?” a client asked me one day. I took the bait and asked him why. “It’s because I take comfort in knowing I can pick up the phone and fire you whenever I want.” He went to explain that he had no desire to hire an internal team to provide the survey data, quality assessment, and call coaching our team provided their company. Not only would he bear the expense and headaches associated with developing an expertise outside of their company’s discipline (see #2), but once employed he couldn’t easily get rid of them should they prove as ineffective as he expected they would be (See #1, #3, and #4). His point was well taken. Our group has labored for years with the understanding that our livelihoods hinge on our ability to continually provide measurable value to our clients. 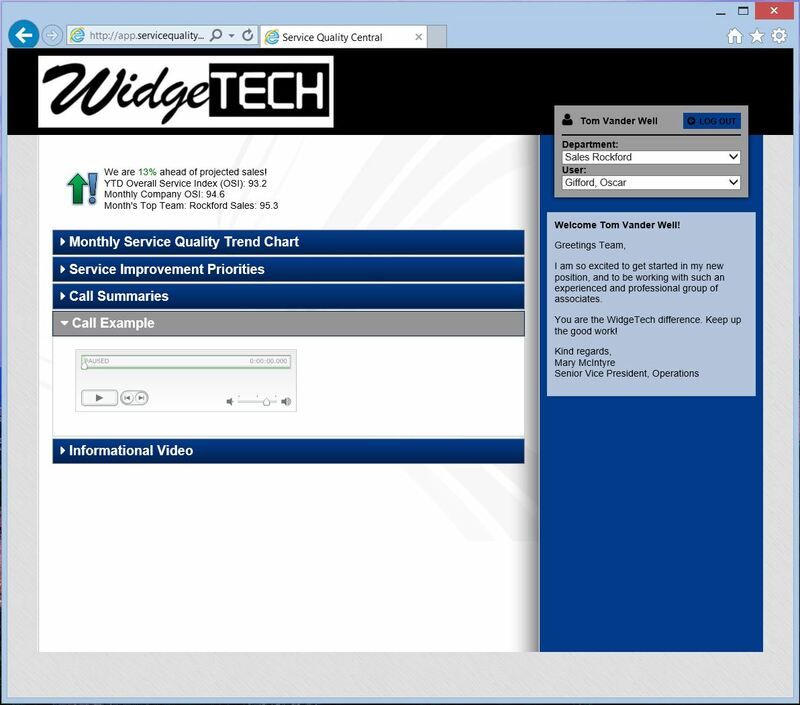 Yes, you can technically generate your own CSAT survey or call Quality Assessment data. Technology makes it feasible for any virtually any company to do these things internally. The question is whether it is wise for your company to do so. 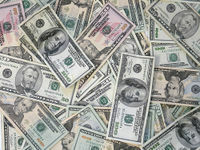 When calculating the ROI of internal vs. external survey and QA initiatives, most companies fail to calculate the expenses associated with ramp up, development, training, nor do they consider the cost associated with employee time and energy expended doing these things poorly and providing questionable data and results. Most all of us have humorous, and often aggravating, anecdotes about trying to communicate with Siri, Alexa, or any of the other voice prompted technology apps available to us. I am quite regularly thankful that no one is around to hear the tirades I scream to the disembodied, robotic female voice of my car’s voice prompt technology. It amazes me, then, to know that businesses spend huge amounts of money on speech analytic technology as a way to replace their Quality Assessment (QA) programs. Let me start with full disclosure. Our company, C Wenger Group, has spent a quarter century monitoring and analyzing our clients’ phone calls as a third-party QA provider. Sometimes our clients hire us to be their QA team, and other times they hire us to provide periodic audits and reality checks to their internal efforts. Over the past few years we have learned that speech analytic technology has become a competitor to our service. I can quickly name two clients who have dismissed our services in favor of speech analytic software. The promise of speech analytics is in the ability to monitor vast quantities of phone calls. Most human QA efforts, by comparison, utilize relatively small random statistical samples. Our data over the years reveals that our team can quite capably provide an accurate reflection of service performance with relatively few calls. I remember calling one skeptical client after our initial month listening to a minimal sample of calls for sales compliance. I gave him the names of three sales people whom our call analysis identified as problems. He laughed and told me that all three had been fired the previous day agreeing that our sample and analysis was, indeed, sufficient. Nevertheless, the idea of being able to catch the needle in the haystack has certain appeal. Random samples don’t capture every instance of irate customers, lying representatives, and forbidden behaviors. That’s where tech companies and their (big ticket) speech analytic software promise nervous executives a peaceful night sleep knowing that every phone company can be monitored by computers and flag problem calls when they occur. Just like Siri flawlessly hears my every spoken request and never fails to provides me with exactly the answer I was looking for. I have followed up and spoken to both clients who dismissed our company’s services in favor of speech analytics. In one case, my contact admitted that they abandoned the technology after a year of unsuccessfully investing significant resources (money and man hours) trying to get it to provide meaningful results or value. In the other case my client contact admitted that the technology never worked, but that his company continued to play the political game of pretending it was working because they didn’t want to admit that they’d wasted so much money on something that wasn’t working. I have also spoken to representatives of other companies with similar words of warning. As with most technologies, it’s important to know what you are, and aren’t, getting before you sign on the dotted line. My conversations with those who’ve employed speech analytics reveal three key things that should be considered when considering it as a technology investment. It’s going to require a lot more work to set it up, monitor, tweak, and successfully utilize it than you think. At one industry conference I attended a forum of companies were using speech analytics. I found it fascinating that all of the panelists admitted that the technology required far more time and energy than they anticipated when they purchased it. One company on the panel admitted that they hired five full time employees just to make the technology work and to keep it working. Many people don’t realize that you have teach the speech analytic software what to listen for, what to flag, and what to report. Then you have to continually refine it so that it’s catching the things you want it to catch and ignoring the things you don’t. In many cases, this process is not intuitive. It’s more akin to computer programming. Operations associates who thought they were going to save themselves time having to personally analyze phone calls find themselves spending even more time mired in IT issues related to the technology. The technology is going to give you a lot of false-positives. I love that I can say “Hey, Siri” and my iPhone will come to life and ask what I need. I have also been annoyed and embarrassed at the number of times in normal conversation or business meetings that I say something that my iPhone mistakenly hears as “Hey, Siri” only to wake-up, interrupt my conversation, and ask what I want. In similar fashion, you can expect that for every instance of speech analytic software catching the right thing, it is going make at least as many, if not more, mistakes. In various ways, using different words, many of the CSRs were refusing to help callers. They would immediately “pawn them off” (one customer’s words) to other CSRs or dumping callers into voice mail. In some cases we heard veteran employees claim that they didn’t know how to do the most basic of customer service functions in an effort to avoid helping callers. Our team quickly recognized that our client was struggling with a culture on their call floor in which CSRs tried to avoid helping callers (in the most professional sounding way). Customers were being dumped into voice-mail and transferred unnecessarily as CSRs played an internal game of “that’s not my customer, that’s your customer.” We addressed it with our client, citing examples. They quickly moved to address the issue and are already making significant progress toward changing behavior on the call floor. I tried to imagine how I would tell a speech analytics program to catch such an occurrence. The ways that CSRs communicated that they couldn’t help were as varied as the CSRs themselves and their own communication styles. Customers frustration never escalated to shouting or profanity. It was all very subtle, and required experienced analysts making connections across multiple calls to recognize the pattern of behavior. Speech analytics could never do that. Like most technologies, speech analytics has its place and its purpose. For those companies who have the resources to successfully employ it, speech analytics can analyze vast quantities of interactions and flag, with relative degrees of accuracy, when certain words are spoken or certain levels of emotion are expressed. Those considering this technology as a replacement for a thorough and well structured QA program should understand, however, that the technology has requirements and drawbacks that the technology salesperson will be quick to ignore or minimize. Companies often desire to provide basic customer service training for their team(s). Our group is often asked to provide a “Customer Service 101” training session that teaches employees some basic customer service phone skills, and we do provide that type of training. We have, however, always believed that training alone, without any kind of assessment or accountability, will have limited impact. A recent experience with one client allowed us to quantify this reality with data. Please click on the link below to download our white paper. Data and technology dominate the conversations. And conference rooms and conferences are filled with formulaic approaches. “Make a template and put the creative in this box” approaches. Often, we appear to be more concerned with filling up these boxes than with the actual creative. Her story resonated with me as it parallels the similar impact technology has had on customer service and QA in contact centers. Technology has allowed many large businesses to “offload” common customer service interactions to IVRs, VRUs, and apps. Actual customer interactions with human agents is diminishing, yet there are two very important distinctions to be made here. First, when customers finally escalate their issue by navigating the labyrinth of self-serve options the human interaction at the end of the line tends to be even more complex, emotional, and critical to that customer’s satisfaction. Second, not many small to mid-sized businesses have deep corporate pockets to integrate large technology suites which will automate many of their customer interactions. Many businesses are still out there manning the phones and serving customers through good, old-fashioned human interaction. Like professional athletes who spend hours in the video room breaking down their performance with coaches, Customer Service Representatives (CSRs) still benefit from call analysis, coaching, and accountability of performance. Yet, I find many companies still want to offload this process to formulaic approaches defined by any number of confined boxes created by software developers. Please don’t hear what I’m not saying. Technology offers wonderful tools to make the Quality Assessment (QA) process more efficient and effective. Nevertheless, I have found that there is no technology that effectively replaces the very human communication that takes place between agent and call coach. Effective QA combines objectivity and motivation. It both encourages and holds accountable. It addresses the often messy reality of human desire, emotions, behaviors, and personalities. Much like Ms. Credle’s observations of marketing, I find that technology often leads more to simply checking boxes and less to actually helping a human CSR improve their communication with human customers. Better collections. Customers will often write the first check to the creditors who treat them respectfully. If a customer owes your company money, it’s likely they owe money to other companies as well. When the next paycheck or windfall comes in, that customer is going to decide which creditors to pay and which creditors to put off. When a collector treats a customer with empathy, professionalism and respect, we often hear customers state that it factors heavily into their decision to pay that company first. Customer loyalty. Our research team has quantified in some of our clients’ CSAT surveys that “willingness to work with me in tough times” can drive customer satisfaction and loyalty. Not all customers who owe money are dead beats. Quite often, and especially in a tough economy, good customers fall on hard times. When a company is willing to work with that customer through their difficulties and provide quality service on each call, customers tend to remember it. “What goes around comes around,” they say. When you stick by your customer in tough times, that customer will often stick with you for the rest of their lives. Employee satisfaction. Even collectors feel the weight of people’s misperceptions and I will never forget speaking with the manager of our client’s collections department a year or so after we’d been working with her team. She was ecstatic. She reported that her team had never felt so empowered and equipped (after long feeling like the company’s “red-headed step-child”). And while there will always be difficult customers to deal with, her collectors were more satisfied with their jobs knowing that the company wanted them to treat customers well. The fact that the company was willing to invest in our Service Quality Assessment to benchmark their service and help them improve was a boost for the team’s morale. Peace of mind. Even the best of collections departments can run into extreme situations. The collections effort can be some of the more contentious conversations any company has to manage. If you have collectors with short fuses or situations that need management’s attention, our clients tell us that they sleep better at night knowing there’s an objective third-party listening in (and occasionally sending them an e-mail saying, “you better look into this one.”). It’s a mistake to assume that “collections” and “service quality” don’t go together. In fact, measuring and improving the quality of service your collectors consistently deliver on the phone can be a win-win-win-win for you, your customers, your employees, and your bottom line. c wenger group is a full service Quality Assessment provider, assisting clients set up their QA programs and providing QA as a 3rd party complete with call analysis, reporting of team and individual agent data, and even data led coaching and training. If your team or company is thinking about getting into call monitoring and Quality Assessment (QA), or for those who are seeking a solution to their internal QA headaches, we would encourage you to at least give consideration to a third party QA solution. Many companies dismiss the idea of a third party provider without really weighing the option. With nearly a quarter century of experience and multiple client relationships of twenty years or more, the team here at c wenger group believes we’ve proven that it can be a sensible alternative. Expertise. I’m sure your company is good at what it does. You have expertise in your field and would like to focus your resources and energies on doing what you do well. We feel the same way. It may seem that analyzing a phone call, e-mail, or chat should not be that difficult. The technology company who sold you your suite of software probably made it sound like it would practically run itself and give you all sorts of powerful information with a few clicks of the mouse. The truth is that a successful quality program is more complex than it seems. Many companies go down the road to setting up their own quality program only to find themselves bogged down in a quagmire of questions about methodology, sample sizes, criteria, and calibration. Don’t try to re-invent the wheel building expertise in a business discipline that distracts you from doing what you do well (and what makes you money). Let us do what we do well, and help you with that. Expediency. We’ve had many companies tell us that they purchased or installed a call recording and QA solution that they thought would deliver an easy, “out of the box” program. Instead, they find themselves feeling like they purchased an expensive plane that sits on the tarmac because no one knows how to fly it. Don’t spending months wrangling and struggling just to figure out how you want your QA program to look and work. How much time will you and your valuable, talented team members waste in meetings and strategy sessions just trying to figure out how you’re going to analyze calls? We’ve been doing QA for companies of all shapes, sizes, and types for many years, and in short period of time we can have a working, effective, successful QA program set up and delivering useful data and information right to your desktop. Objectivity. One of the most common pitfalls of internal quality programs is analyst bias. Supervisors are tasked with monitoring their own teams’ calls, but they don’t want the team (or themselves) to look bad so when they hear something that goes wrong in a call they give the agents credit on the QA form and (wink, wink) “coach them on it.” A quality team member has personality issues with an agent, so he scores that agent more stringently that the rest of the team. A team leader has an agent who is disruptive to the team. She starts looking for “bad calls” to help make a case to fire the problem team member. These are scenarios we’ve seen and documented in our QA audits. They happen. What’s the cost of an internal QA program that doesn’t deliver reliable data or results? A third-party QA provider is not worried about making people look good or grinding axes. We are concerned with delivering objective data that accurately reflects the customer’s experience. Results delivered regularly, and on time. One of the biggest problems with internal QA programs is that they chronically bow to the tyranny of the urgent (which is all of the time). When things get busy or stressed, the task of analyzing calls is the first thing pushed to the back burner. Internal analysts procrastinate their call analysis until the deadline looms. Then, they rifle through calls to get them done and the results are not thoughtful, accurate, or objective. Our clients tell us that they appreciate knowing that when we we’re on the job the QA process will get done and it will be done well. Calls will be analyzed and reports will be delivered regularly and on time. Better yet, the results will be effective at helping you make tactical goals for improvement, effectively focus your training, manage agent performance, and successfully move the needle on customer satisfaction, retention, and loyalty. You can always fire us. A client once told us that he kept us around because he slept better at night knowing that he could always fire us. His comment was, admittedly, a little unnerving but his logic made a lot of sense. “If I do this QA thing myself,” he explained, “I have to hire and pay people to do it. In today’s business environment it’s impossible for me to fire someone without a lot of HR headaches. So, if the people I pay to do it internally don’t do it well then I’m stuck with both them and the poor QA program. I like having you do QA for us. Not only do you do it well, but I know that if anything goes wrong I can just pick up the phone and say, ‘we’re done. '” The good news is that he never made that call before he retired! If you’re looking at getting started in call monitoring and assessment, or if you have a program that isn’t working, we would welcome you to consider how one of our custom designed solutions could deliver reliable, actionable, and profitable results. c wenger group designs and provides fully integrated Customer Experience solutions including Customer Satisfaction research, call/e-mail/chat Quality Assessment, and coaching/training solutions for teams and individual agents. Our clients include companies of all sizes in diverse market sectors. Please feel free to contact us for a no obligation conversation! One of the many frustrations of corporate Quality Assessment programs is how to efficiently get the results and data to the agents so that they are aware of their performance and can make necessary efforts to improve. For years, c wenger group has been delivering our clients’ QA and research data, both team and individual agent reports, directly through our Service Quality Central web portal. Managers and agents can both access their most recent data 24/7/365 with a provided user name and password. Supervisors and Managers can quickly access all of their agents individual QA data from one easy to use source and agents are able to utilize down time to pull up their QA data right at their desk. Our Service Quality Central website can be branded for each client and offers the flexibility to provide more than just data. 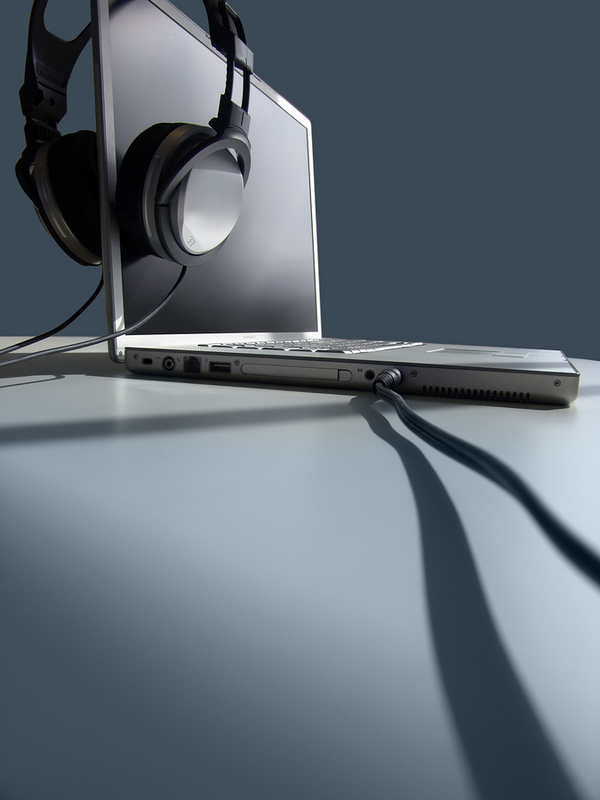 We have are able to provide audio and video content. In some cases we’ve uploaded individual agents calls and coaching notes so that they can hear one of their own calls at their leisure, right at their own desk. Training videos, coaching handouts, training manuals can all be shared with agents. Our clients are busy doing what they do best and the tasks that make them profitable. They don’t want to be burdened with tasks that may be strategic and valuable, but aren’t in their area of expertise. Surveying customers, analyzing calls for quality and compliance, interpreting data trends, and reporting data to the front lines are activities that drain time, energy and resources; Resources that our clients would rather invest in their core business. That’s where c wenger group comes in. We have over a quarter century experience surveying customers, analyzing phone calls, and turning data into actionable, effective training and coaching solutions. 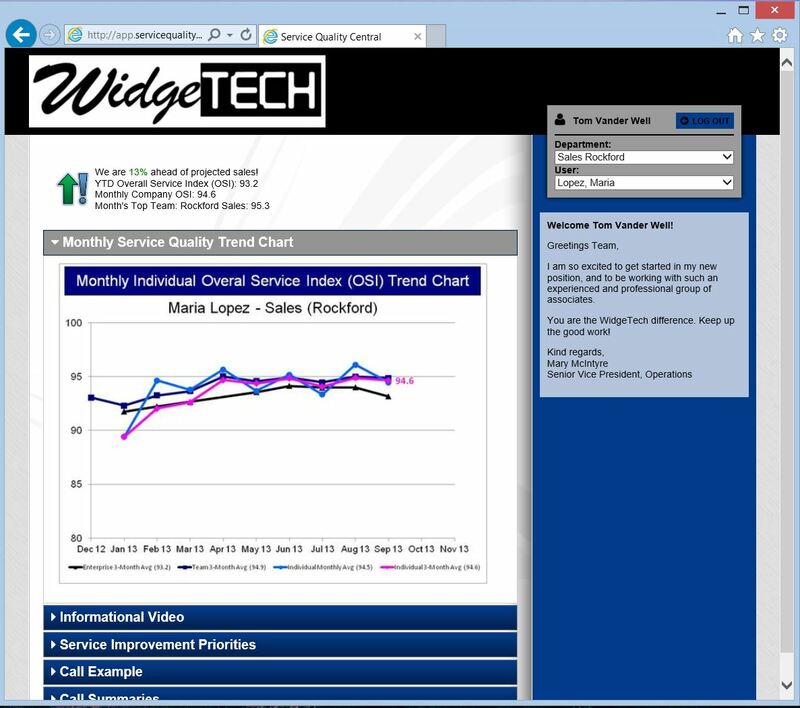 Our Service Quality Central web portal is one of the ways we take the burden off of our clients and deliver effective, measureable value directly to their desktop on an on-going basis. For more information, please drop us an e-mail at info@cwengergroup.com.